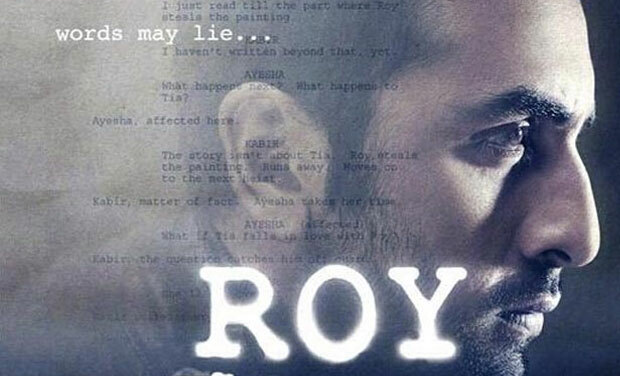 Debutant Director Vikramjit Singh attempted to create something unorthodox with 'Roy' with a superb star-cast, of course but failed miserably. The movie is a classic 'film within a film' story of a flirtatious film-maker Kabir (Arjun Rampal) whose life runs parallel with one of his characters Roy (Ranbir Kapoor) that causes enough turmoil in his love life. Finally, both the director's as well as character's lives merge and bring love back into the film-maker's life. Arjun Rampal dons the role of a proud, arrogant and successful film-maker while Ranbir Kapoor is seen as a charming and smart thief who tries to keep the mystery in his character intact all through the film. Ranbir's role can very well be called an extended cameo. Jacqueline is seen in a double role of Ayesha and Tia, a film-maker and an actor respectively. But there’s not much distinction in their portrayals, for instance, the colour of her lipstick and her hair changes. If Ayesha is pink-lipped, Tia is red-lipped. If Ayesha has long tresses, Tia’s hair is shoulder length. We also see Anupam Kher (as Kabir's father) and Shibani Dandekar (Zoya) and Rajit Kapoor wasted in their short and almost inexplicable roles. The brilliant idea of fiction meeting reality is sadly lost in bizarre situations, random dialogues and clueless characters. Since the story is structured around Kabir’s reality and Roy’s secret life, their stories are meant to be intrinsically weaved, and swapped but the exercise is tried and tested . The transition isn’t clear the conflicts between both the characters appear inconsequential. There is the ageing, ailing father (Anupam Kher) who hits on his nurses, loves cigars and gives philosophical talks to an audience that consists only his son. There is the detective (Rajit Kapoor) who wears trench coats, smokes like a chimney, bears a pocket watch and does everything to look the palest version of Byomkesh Bakshi or Sherlock Holmes. Such is the randomness of the film, that in one scene Kabir (Arjun Rampal) says, "One who has guns is always in control" to which Ayesha (Jacqueline) replies " No, the one who has a heart, is." Jacqueline then breaks into a ballet dance claiming she always wanted to be a ballet dancer. All through this one might actually think it will lead to something meaningful, only to realise that the deep-rooted philosophy between guns, heart and ballet is simply incomprehensible. At certain points Arjun Rampal will almost convince you that he is a maverick filmmaker and but his idiosyncrasies dont always translate into a pathbreaking performance. The camera feeds off his striking looks, but unfortunately the film does not flesh out the complexities and vulnerabilities of the character convincingly. Between all this, he also finds time to romance, with the entertainment reporters pitching his current flame to number 23. Yet, there is no sense of real chemistry between him or his squeeze. Ranbir, the thief, has no history, no layers and no dimensions. His face has a bored expression all through out, while stealing, romancing, smoking or punching the baddies. He tries hard to lend mystery to 'Roy' but can only do so much in a badly written character. Ranbir Kapoor fans might end up wondering what is he doing in a film like this? While the film is shot beautifully, it's the story that falls flat mainly because it is packed with too much randomness in the name of art and intensity. There is an instance when Jacqueline comments on bad films, ''One should end the film if headed in the wrong direction.'' If only the director had followed his own advice!